CUHA works in collaboration with equine organizations, horse rescues, veterinarians, and state agencies to raise awareness about unwanted horses. Together we can make Colorado's unwanted horses wanted again. Learn about responsible horse ownership, promote horse adoptions, and donate to support horse rescues and equine organizations that are caring for unwanted horses. Through CUHA, organizations that help us further our mission to reduce the number of unwanted horses in Colorado, can gain financial support to care for horses, promote horse adoptions, and work toward solutions to the tragedy of unwanted horses. Annual Grant. Awarded one time annually, these grants support programs for horse training, gelding, humane euthanasia, educational outreach, research, or special equipment. At Risk Fund Grant. 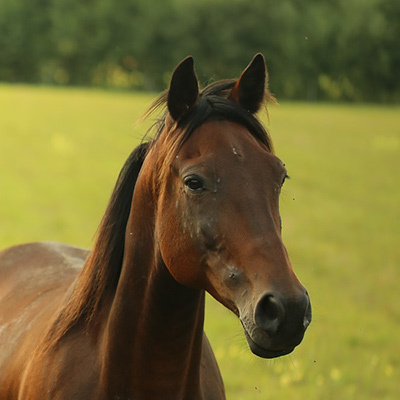 Awarded at any time for specific requests, these emergency grants provide funding for emergency hay, humane euthanasia, gelding, non-routine farrier services, and emergency medical care. Learn about this 90-day transformation process that reveals the ability, talent, and potential of Colorado's rescue horses. Expenses of horses ownership and rescue quickly add up. By supporting CUHA, you can help provide hay, medical care, boarding, gelding, and transport. You can save an American treasure! Receive the latest news from CUHA and the issues relating to Colorado’s unwanted horse problem. CUHA’s funding comes from grant funding and individual donors, and donations through the Colorado Tax Checkoff. Donations are welcomed and essential to our mission.